Hilary Bethancourt is currently pursuing a PhD in Biocultural Anthropology–with a focus on medical and nutritional anthropology–at the University of Washington. She has also received an MA in Biocultural Anthropology and a Master of Public Health in Epidemiology at the University of Washington. 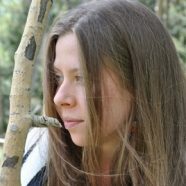 Her research interests throughout her graduate studies have been focused on gaining a more comprehensive, interdisciplinary perspective on how human evolutionary history, biology, ecology, and culture have influenced dietary and lifestyle behaviors and growth, development, health, and aging patterns within and across human populations. Hilary’s aim of gaining a better understanding of the complex relationships between diet or lifestyle factors and health throughout the life course is driven by the goal of helping to find more effective, accessible, and cost-effective ways of preventing and managing chronic, degenerative diseases and maintaining health and functionality throughout the aging process.